You just can’t argue with Ford’s dedication to SUVs. It fills all the possible gaps from tiny EcoSport to humongous Expedition, with stuff becoming even wider if we count in luxury coated Lincolns. If we glimpse at mid-size crossover segment, we might even get baffled with “blue oval” decision to offer three choices cramped into the same bracket. Luckily they are well diversified among themselves, leaving a little spot for confusing funkier Edge with square-ish Explorer incorporating extra bench, while berserk Flex is a story for itself, openly aimed at stealing minivan buyers. Believe it or not, that is not it, as Detroit maker has more same sized SUVs, though not in the home country, leaving us now to deal with the fact that 2018 Ford Endeavour is coming. 2018 Ford Endeavour – WHAT IS IT? 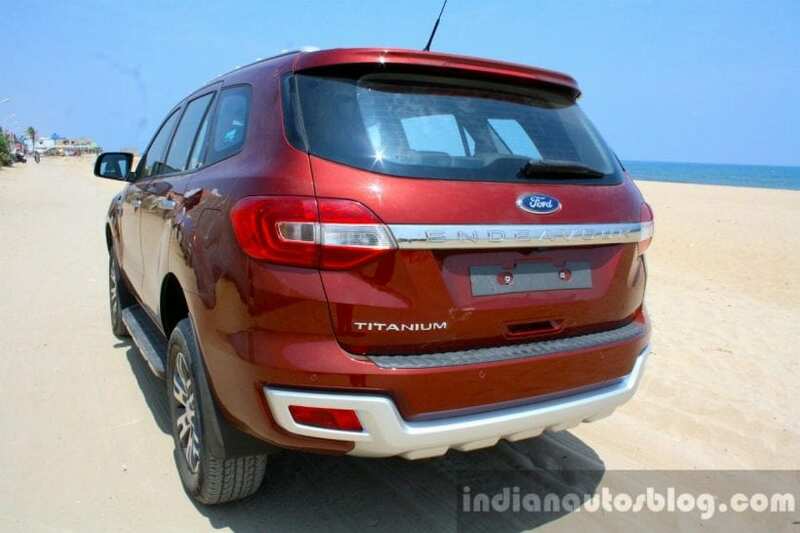 2018 Ford Endeavour as known in India or Everest as dubbed in Australia is a mid-size SUV and that would be a true one based on the fact that underpinnings belong to Ranger pickup. Current third generation was introduced in 2015, so you probably guessed that we are here to dwell about the facelift and that would be correct. So, Endeavor is Ford’s specifically tailored product for the eastern side of the globe, and in recent months it’s experiencing some tough times. 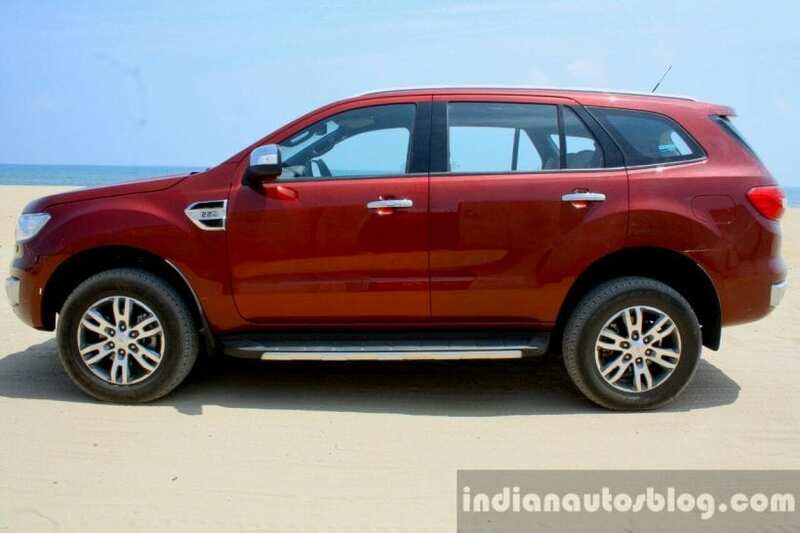 Ever since new Fortuner (Toyota’s “specially made for” thing) arrived last year, it openly started to sway buyers on its side in India, which resulted in the total carnage of Ford’s sales figures during last months. A facelift is evidently intended at mitigating this, so let’s see how. Ford’s thinkers obviously reserve a special place for vehicle’s fascia as upcoming nip and tuck are all about it. 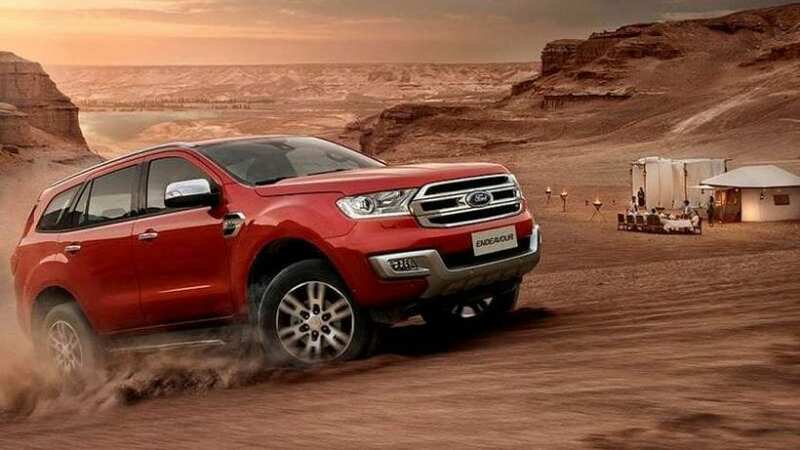 The rugged look of it is about to be garnished with LED daytime lights, and brand new F-150 inspired grille, while bumper might also experience some tweaks. Rest of the test mule from spy photos is not even covered, and the interior is probably also going to carry over unchanged. Still, the introduction of Sync 3 infotainment supportive of Apple CarPlay and Android Auto is more than welcomed, especially since current Sync iteration falls short of eye-pleasing graphics and can easily get you edgy with sluggish responses. Safety is also getting some slice of novelty as automated emergency braking is about to find its way here, somewhere during next year when 2018 Ford Endeavour hit the roads. Rough underpinnings, a proper 4WD system with low range gearbox, nicely tuned Terrain Management System, are all matched by vast interior space, decent cabin, and comfortable ride, making Endeavor all capable utility perfect for emerging markets, with respect to Australia which completely emerged long time ago. Two diesel engines are definitely not going to amaze with stats, but 2.2-liter rated at 158 hp and 3.2-liter producing 198 hp, paired with manual or 6-speed automatic, are still suitable for getting the job done, though in more relaxed manner. Starting price sitting below 24 lakh or roughly $37k is a fair one, considering the market in question, which gives final edges to the sensation of the complete package offered here. No, not really, could it make sense in the US too? Truck-ish roots definitely take some toll on ride comfort, handling, and cabin lavishness compared to crossovers, but they give something in return, and US buyers are definitely not shy of going for Toyota 4Runners and especially Jeep Wranglers, while full-size body on frame SUV segment is still quite alive and well. Since Ranger is coming back anyway, Endeavor is not big of a deal to be offered alongside it, making acceptable at first glance absurd situation of four different offers on the same shelf. If you doubt it, Ford doesn’t, as something similar is coming, just much better and that would be Bronco if you haven’t paid enough attention.